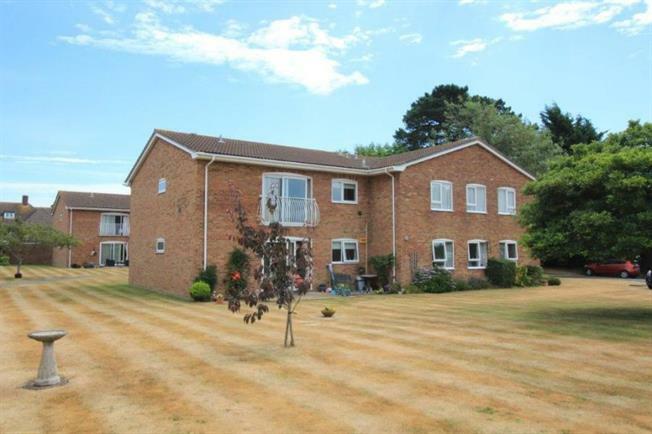 2 Bedroom Upper Floor Flat For Sale in Highcliffe for Offers Over £250,000. A well presented first floor apartment boasting two double bedrooms and a spacious lounge/dining room with Juliet balcony. Other features include an en-suite shower room to the master bedroom and a garage in nearby block. Situated close to the cliff top and the high street. Highcliffe village has a number of restaurants and cafes. Local shops including a Co-op and Tesco supermarket. Highcliffe beach is just a few minutes walk from village centre with cliff top walks and has excellent cliff top parking. The New Forest National Park is in close proximity by car as is Hinton Admiral mainline train station, with direct services to London Waterloo. Schools in the town include Highcliffe St Mark Primary School and Highcliffe School. There are also independent preparatory and secondary schools local to the area in New Milton and Barton on Sea. Built-in storage cpboards, access to loft space, telephone point, radiator. TV point, radiator, double glazed sliding patio doors with juliet balcony. Range of base cup/dreawer units with work surfaces over. One cupboard housing the gas boiler. Stainless steel sink unit with mixer tap. Built-in oven with hob over and cooker hood over. Space for freestanding fridge freezer. Space for washing machine. Inset ceiling spot lights. Double glazed window with view over communal gardens. Built-in chest of drawer units. Built-in wardrobes. Radiator. Double glazed window. Shower cubicle, wash hand basin with cupboard under, low flush w.c, heated towel rail, Double glazed window. Built in chest of drawer units, built-in wardrobe, radiator, double glazed window. Panelled bath, pedestal wash hand basin, low flush w,c, heated towel rail, double glazed window. Well tended communal gardens. A garage is in a nearby block.